Instant Hand Sanitizer kills 99.99 percent of most common illness-causing germs in as little as 15 seconds. This refreshing alcohol-based formula contains moisturizers and Vitamin E to leave hands feeling soft and refreshed. 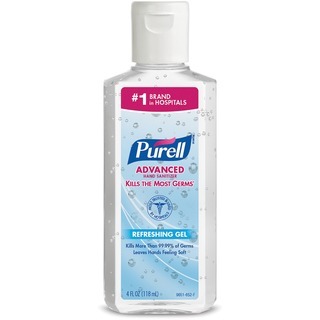 As safe as regular soap and water, hand sanitizer in small portable bottle can be used as often as needed. Simply flip the cap open and apply.